Massive app sale alert! 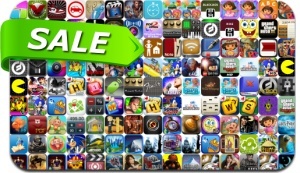 We found a whopping 450 great iPhone and iPad apps that are on sale right now. This app deal alert includes Sonic, Rayman Jungle Run, Patchworkz, The World Ends with You, Death at Fairing Point, Chicken Invaders, Phantasmat, Haunted Manor, Cave Quest, Chaos Rings, Tweetbot, Lego Harry Potter, and many others.